Warsaw, poland, c. 1900. On round base embossed with floral and scrolling design. 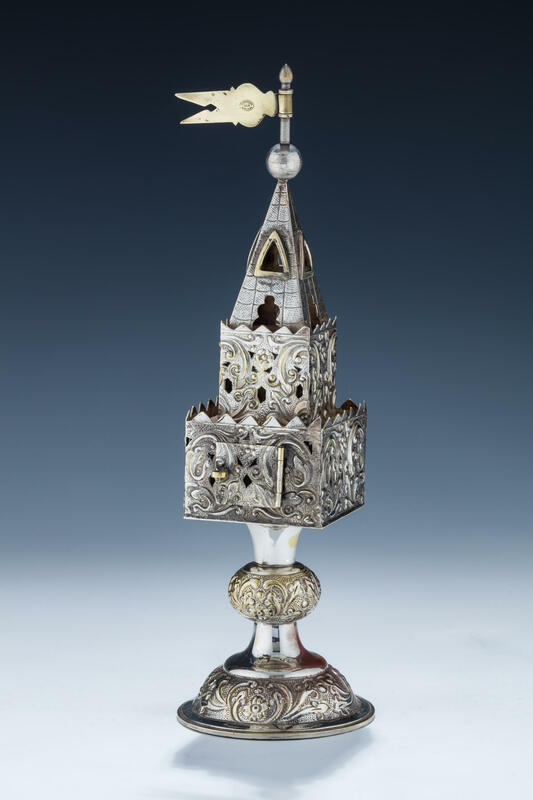 Decorated knobbed stem and embossed tower shaped body. Topped by a flag marked with maker’s name. Inscribed on mark ‘schiffers galv warszawa’ schiffers was founded in 1888 by andrzej boleslaw schiffers and jan solinger. 10.7″ tall.